With this product, animal inspiration comes to birds. 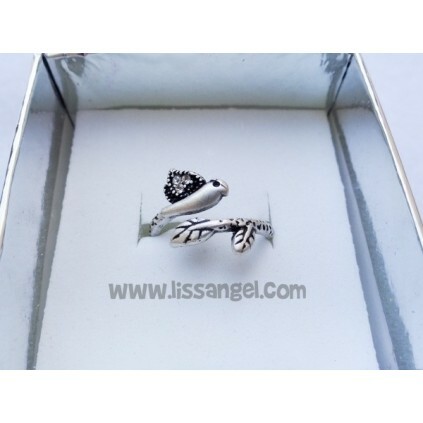 Let try this nice bird posing on a branch around your finger. 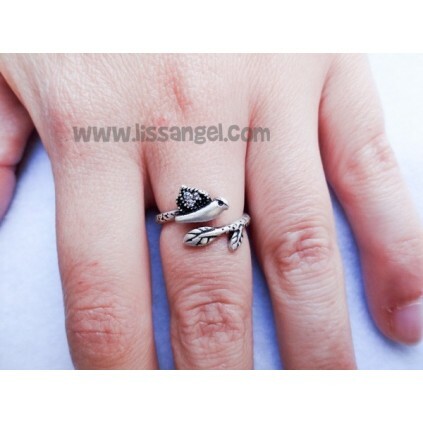 Perfect ring for bird lovers or, why not, lovers of beautiful things in general. 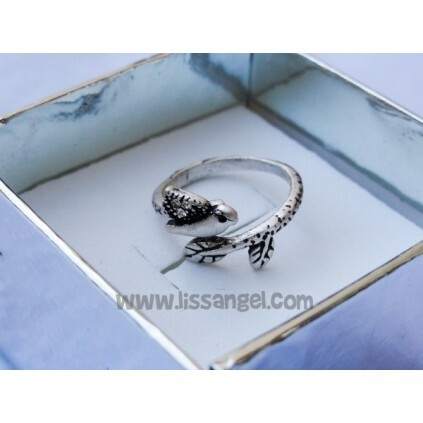 This beautiful silvered ring is made of zinc alloy, free of allergic metals such as lead or nickel. 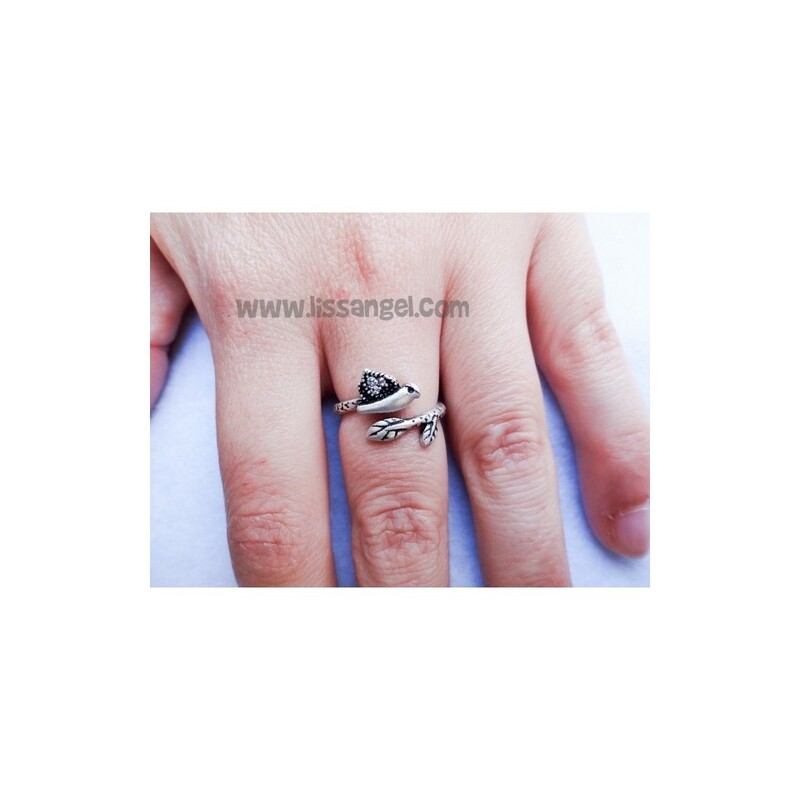 This ring is adjustable, you can open and close very lightly and without straining to adjust to your finger. Be careful to not do usually, ring can breaks. This is a slight movement to fit the finger. 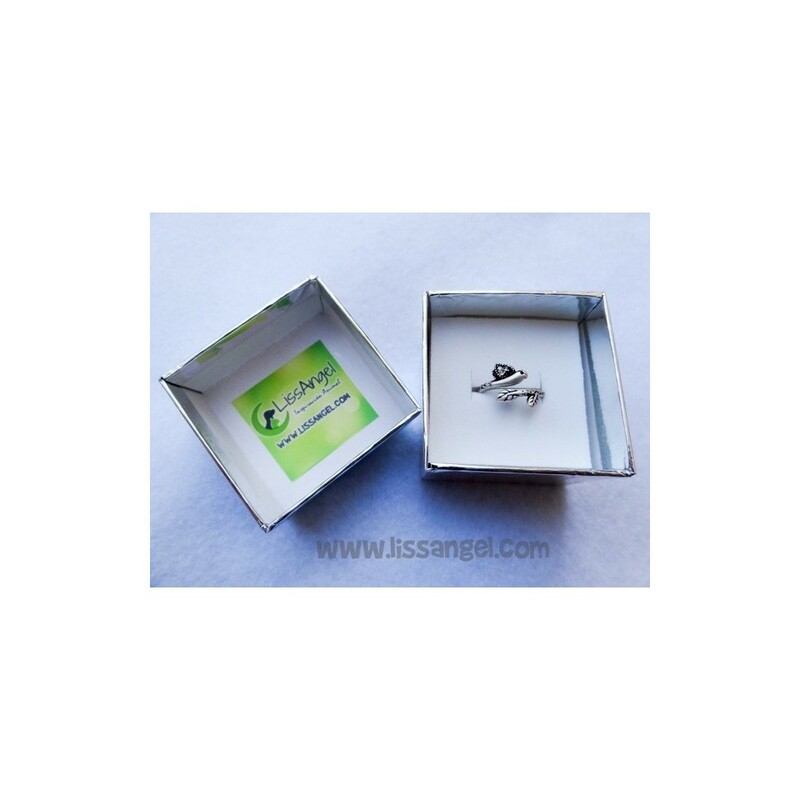 You will receive the ring wrapped according to availability or in a jewelry box or in a colorful felt bag. 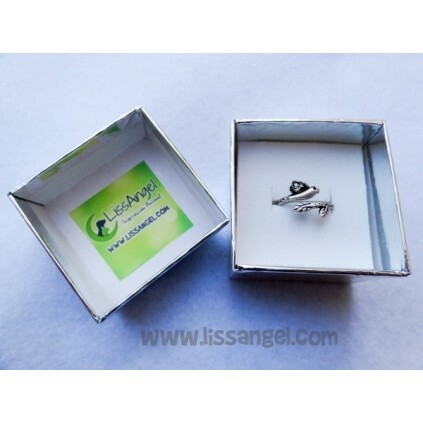 If you use our gift wrapping service, you will get the ring ready to make an original gift. 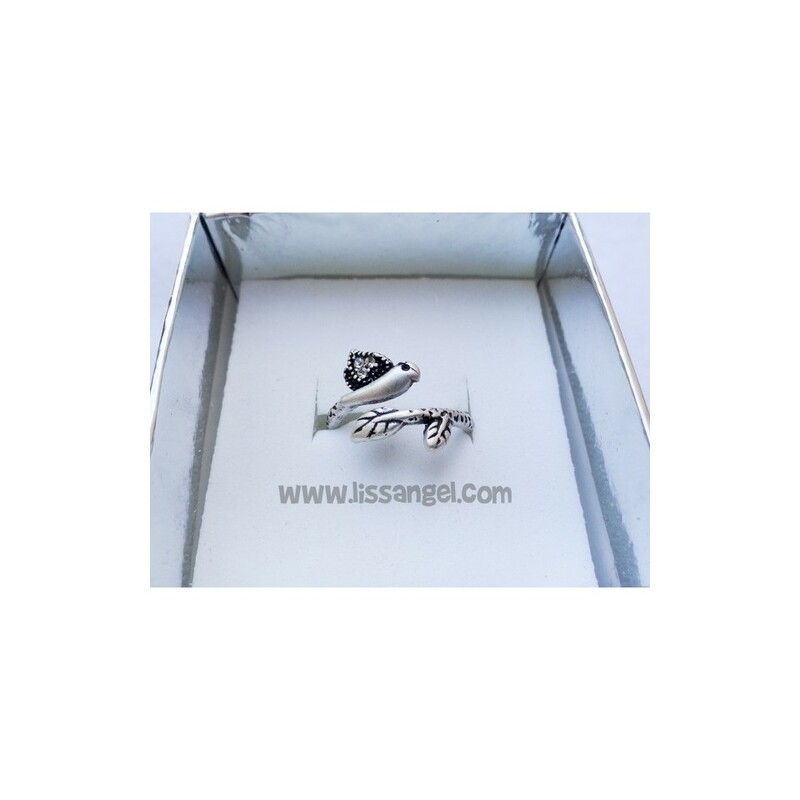 El anillo es muy bonito y fino, por lo que ha cumplido todo lo que ponía en la descripción. Es para regalar y seguro que a la persona le encantará.